« Cylinder Hazard Alert ! 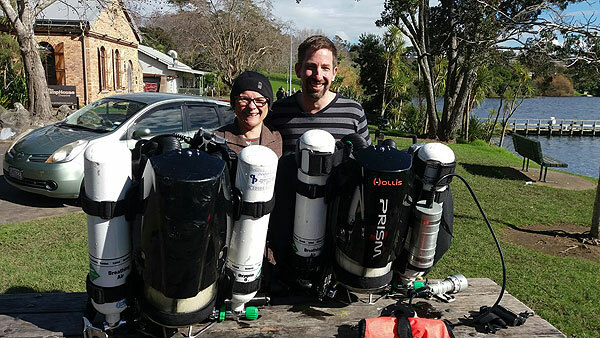 A big congratulations to Liz and Christian on completing their Hollis Prism 2 Tec CCR rebreather crossover course, They both have shiny new rebreathers ready and rearing for the coming seasons diving. 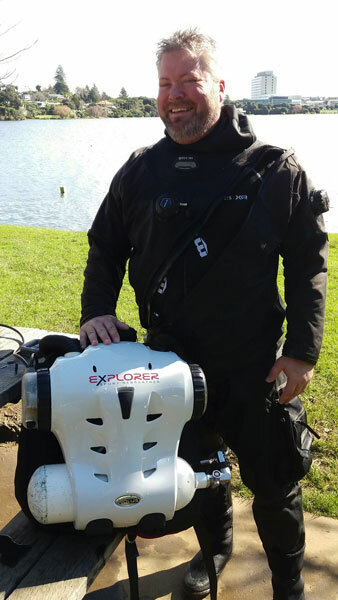 Nick completing his course on the Hollis Explorer rebreather. 3 oxygens cells to reliably maintain the correct gas in the loop. ability to change the set point to optimize the no decompression limits and gas use. A carbon dioxide analyser to warn against scrubber breakthrough. A srubber monitor stick to monitor the efficiency of the scubber canister. Auto draining counterlungs to remove any water which may have entered the loop. Head up display and buddy warning lights to indicate if there are any problems. Vibrating mouthpiece a tactile warning of problems with the unit. Kiwi Divers is proud to be the only dive center in New Zealand providing training, sales and service on both of these units with Technical Divers International (TDI). We also provide both user and instructor level training on rebreathers up to advanced trimix. For more information simply contact us or pass by the store to see the full range of rebreathers that we cater for.